The new Home Minister Ramalinga Reddy may not have a magic wand to solve the city’s unending traffic woes. 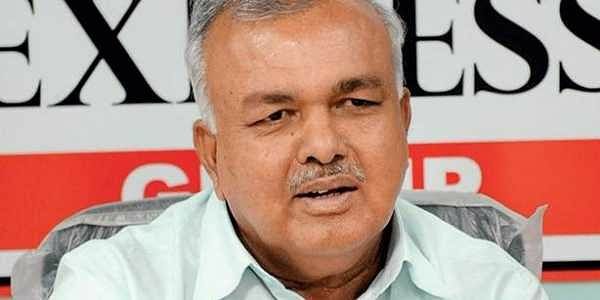 BENGALURU: The new Home Minister Ramalinga Reddy may not have a magic wand to solve the city’s unending traffic woes. But he seems to have started on the right note by refusing ‘Zero Traffic’, a privilege extended to the Chief Minister and Home Minister. The privilege allows for the CM’s and Home Minister’s vehicles and convoys to pass through roads where movement of other vehicles is temporarily stopped. “I have said no to Zero Traffic privilege,’’ Reddy told Express on Saturday, a day after he was entrusted the powerful Home portfolio. “In a city like Bengaluru, people are regularly stuck in traffic jams. If I use the Zero Traffic privilege, it does not look fair on my part. I have to attend several functions, both personal and public and wherever I go, if traffic is stopped, then people will curse me,’’ he said. Reddy represents BTM Layout in the Assembly. Reddy’s predecessor and current KPCC president G Parameshwara’s use of this privilege had previously caused inconvenience to motorists. The VIP culture among politicians has over the years come under severe criticism from motorists. The Chief Minister too had recently instructed police officials not to halt ambulances and vehicles of emergency services to make way for his convoy. The soft-spoken Congress veteran, who has the daunting task of bringing some order to the chaotic city roads, has also said no to a convoy of police vehicles accompanying him. “I have made it clear to department officials that I don’t need extra security or gunmen. I just need one additional vehicle and don’t need a convoy,’’ he said.